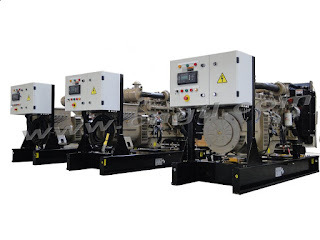 Advantages of Parallel Operation of Alternator or Generators. When a large number of alternators or synchronous generators are connected in parallel to an infinite bus bar system having a constant terminal voltage, constant bus bar frequency and very small synchronous impedance, then this kind of connection is known as parallel operation of alternators. Parallel operation of alternators is often called as synchronizing. In this post we shall be discussing some of the advantages of the parallel operation of alternators. Continuity of Supply and Maintenance: This kind of connection is quite feasible when the repair and periodical maintenance work is concerned. It is easier for maintenance when smaller individual generating units are used, since we can schedule the maintenance of each unit one after the other without affecting the continuity of power generation. While if we are using a single unit then the whole system has to be shut down for its maintenance work, this would definitely affect the power demand during that duration. Efficiency: You might have seen the efficiency versus load current curve of the generator, according to that the generator unit must run on full load, since efficiency is maximum when the load is 100%. So if we are using a single large unit then it is uneconomical to use it on lower loads. While if we use smaller individual units we can add up or switch off the generator units as per the load requirements in order to meet the maximum efficiency. Expansion Plans: Suppose the current capacity of the power plant is 500 MW, if after 2 year it plans to expand the capacity to 700 MW then it will be much costlier to replace the whole single generator setup and to buy a bigger unit. Rather it is economical to buy small individual alternator units which can be added in parallel to the bus bar system in order to reduce the initial capital investment. Size of Alternators: More the rating of the generator, huge is the size of the setup. It is very difficult to manage a single large alternator which may range around 1000 MVA or more. Rather if we are using small individual units connected in parallel, it will be easier to manage considering its size. I understood it than ever. It's simple to understand for all. Thanks for the info, very interesting!